Now LifeStyle truly is truly going to be the biggest launch, and most successful program we’ve ever been apart of! Our team is growing, and will continue to! Yes, and we are on a mission son! It is going to be one hell of a ride! what are rules for a person who is joining from pakistan? You should be able to join as far as I know, as long as you have a working credit or debit card you can use to lock in your position with. You might not have access to the physical products, but the digital side of things, would think you would be fine, because that part is delivered online. And you should be able to make commissions from people who sign up, that use the physical products as long as they live in a location where they are allowed to purchase them and have them shipped. 1)Do we get any commissions on the $49.95 yearly fee? 2)Can we still earn commissions on products and services you don’t own? 3)Can we earn commissions on the special $695 package if we don’t own that? There is two different compensation plans, which is totally awesome and unheard of! 1 is for direct 50% commissions and a 50% matching bonus commissions from your direct product sales and the 50% match is from your directly referred members total commissions. The other is a binary comp plan, based off of volume, between your two legs. Now me and John went all in, right away, because yes, you have to own certain packages to get commissions, of course. Right now the 697.00 package is at a reduced cost because it is prelaunch. 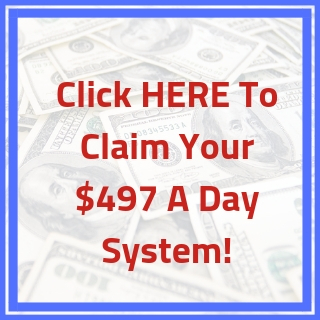 The 49.95 yearly is how the company makes money, because Now LifeStyle pays out 100% of the product sales into the two compensation plans. Joel and the Now LifeStyle team, have plans to build this into a billion dollar company, all I know, is the integrity that Joel and his company have, and we are going to be a huge part of it! I do not know all the ins and outs of the compensation plans, and honestly, I probably never will, my only concern is, “will this be a viable company for years to come and will I get paid, and can I build a massive income with Now LifeStyle”..And my answer is definitely YES! I have been paid by Joel and his companies for years, like clockwork, this is where I am putting my future in, and so is my son John, who is also a marketer. It is necessary to have top tier income in order to make real money.. Think about this, if you have a product you only make a $10 commission from, how many sales would you have to do monthly in order to earn $3000.00 a month? A whopping 300 sales a month! The average marketer can not accomplish 300 sales a month..Not even close..This is why you need top tier products..
Now LifeStyle will have many products both digital, and physical with varying cost.